A tyre trader who sold dangerous part-worn car tyres has received a nine month suspended prison sentence. He has also been ordered to pay £26,000 in fees and to must complete 150 hours of community service. 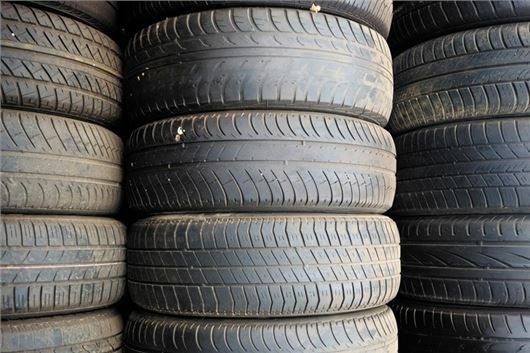 Luke McKenzie of Moss Tyres, Grantham was found guilty of 16 counts of possessing and supplying dangerous products, along with one count of supplying an incorrectly-sized spare tyre and another of providing false information. The sentence comes after Trading Standards carried out a test purchase operation with help from TyreSafe and the National Tyre Distributors Association, following complaints from customers. “Many of the tyres seized from Moss Tyres had serious safety defects that could have had life-threatening consequences for innocent consumers and their families,” said Daniel Brown, Senior Trading Standards Officer at Lincolnshire County Council. “I hope that this judgement will send a strong message out to the part-worn tyre industry that those whom neglect their legal obligations will be investigated and enforcement action taken where necessary. The legal minimum tread depth for a tyre is 1.6mm, however part-worn tyres must have a minimum of 2.0mm of tread across the whole tyre to be resold legally. The tyres must also be in good condition, with no damage that could compromise the structure of the tyre.